Property Maintenance – It’s Summer, Why Should I be Thinking About The Winter? There’s a good chance that you’re going to experience a major expense for property maintenance this year – and you won’t see it coming. It’s frightening, isn’t it? And the worst part is that it will probably come when your budget is already strained. But fortunately, you can avoid this. You can protect yourself an unexpected expense. And all you have to do is think ahead. This is particularly true of real estate property. Especially property that is used for commercial or residential purposes. People use property and tend to be hard on property. They drive on it, walk on it, cook in it, play in it, work in it, shelter beneath it, sometimes damage it (when they’re angry or careless). Let’s face it, if it were not for people, a property would last a lot longer. But property does not have value unless it is used, so people (and ultimately maintenance) is unavoidable. What is most interesting is that property use is predictable. People are very predictable creatures (most of the time) and patterns of use are predictable. Peak hours for a commercial or recreational facility can be tracked. This means supplies, materials, and manpower can be scheduled to meet the demands based on use. That is, of course, if a savvy property manager is paying attention and keeping track. The point is that most property maintenance issues can be avoided with some strategic thinking AND a respect for Murphy’s law. In addition to the wear and tear from people, a property can take a beating from the weather as well. Weather is even more predictable (most of the time) than people. If a property manager maintains properties in the Northeast, at some time during the winter, the property will need ice and snow removal. Properties in the Pacific Northwest experience more wet weather than other parts of the country. Southwest properties deal with high temperatures. Most of the time, weather patterns are predictable and strategic planning for property maintenance can be more comprehensive because this information is readily available on the internet. Here’s a link to the National Oceanic and Atmospheric Administration’s 3-month climate predictions for the US. You now have access to climate predictions three months in advance! These predictions can’t tell you whether a large hurricane or damaging Nor’easter is going to occur, but these predictions are far more useful for property maintenance planning than looking up at the sky and guessing. What parts of the property require extra attention before cold weather arrives? What parts of the property create potential safety hazards due to cold weather? Are the property’s mechanicals and safety equipment in good order now? How do you know? What needs to be inspected to ensure the safety of tenants, clients, and property users? What contingency plans are in place if there are material shortages or outages because of equipment failure? Who do you need to contract with so that needed services are available (snow removal, ice removal, roof damage, electrical or HVAC failure) in case of emergency? When was the last time a through property maintenance inspection was conducted? How often should property maintenance inspections be conducted? What property elements are near “end of life? Which property elements need regular servicing? Have they been serviced? What can you do and what needs to be (or should be) done by others? What materials, equipment, and manpower do you now have on hand to provide optimal property maintenance? What materials, equipment, and manpower will you need to provide optimal property maintenance? What contingencies can you develop for materials, equipment, or manpower shortage? What can you stop ordering or start ordering to provide optimal property maintenance while saving costs? At the end of the day, you want to move from reactive to predictive. This is why you should be thinking about the winter in the summer. As a property manager, you want to predict when something is close to breaking down, or when the efficiency of a piece of equipment becomes questionable to the point that it makes financial sense to replace it before a costly breakdown. You can do this with strategic planning and a partnership with an experienced property management company. I know it’s still summer, but it’s relly the best time to think about the winter. Did you find this article thought provoking? If so, give us a call, C & L Services at 732-886-1940. We’ll help you with strategic planning, safety recommendations and efficient thinking in property maintenance. Click the image or the link below to get your copy of this “Apples to Apples” checklist. No one likes to be taken advantage of. However, in the case of street sweeping, it’s hard to know. There is an old proverb that states, The buyer needs a hundred eyes, the seller but one. The first time I heard that quote, I thought, “how cynical, does one have to protect themselves in all transactions? What has happened to trust!”. Over time, however, this has grown to be one of my favorite quotes, simply because it explains the importance of due diligence before you make an important (and potentially expensive) decision. In fact, I think every potential purchaser of property maintenance and sweeping services would do well to read this quote, understand it and start applying it to evaluating potential service providers. Street sweeping – What Do You Know? Question 1: True or false, An individual needs to be trained, I-9 compliant, have a clean driving record and be screened for drugs drive a street sweeping vehicle. Question 2: True or false, Street sweeping vehicles that are less than 5 years old provide more thorough cleaning and are more environmentally friendly. Question 3: True or false, Tracking sweeping patterns by satellite is the most efficient way to provide thorough street and parking lot cleaning. If you answered “true” to at least two of these questions, give yourself a pat on the back – you know quite a bit about street sweeping. However, if you got even one wrong, then there’s still more for you to learn. 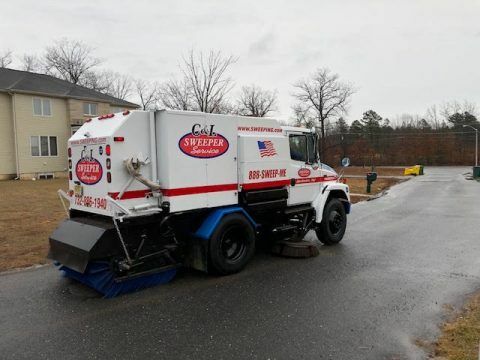 Fortunately, you’re about to learn everything you need to know about how to compare effective street sweeper providers with this article. So roll up your sleeves, put on your thinking cap, and let’s look at important criteria when comparing apples to apples for street sweeping services. Are driver screened: Drug and Driver Record? Are drivers I-9 (Citizenship) Compliant? Are drivers trained on the specific needs of your project? Is there a Supervisor on every shift? Is an Account Manager dedicated to your needs? Does the company have a Scheduling and Quality Control Manager? Does the provider have spare equipment ready to be deployed? Are all onsite vehicles clearly labeled with logos? Does the provider have a wide range of equipment for all needs? Are there GPS Tracking devices on all trucks? Do the trucks have Digital Cameras installed? Are the drivers using 2-Way Radios for fast communication? Are the sweeping patterns tracked by satellite? Are they NAPSA Certified Sweeping? Are they affiliated with an industry partner such as 1-800 SWEEPER? Do they have less than 5 Million Umbrella insurance? Is their Worker’s Comp/Liability up to date? Does the provider wash the area so the cleaning truck functions at the highest level? Does the provider have Certified Mechanics In-House? Does the provider’s company have a full office staff to support relationship needs? Now you know how to compare apples to apples regarding street sweeping providers. To get the best results, you’ll want to choose a street sweeping company that has what you need, when you need it. Go ahead and compare apples to apple – I think you’ll like your results! Have additional questions, please call us at 732-886-1940. We enjoy being compared to other provers of street sweeping. Line striping is a critical form of communication in an organized and structured parking lot. The line stripes direct parking lot users on how to drive through the parking lot and where specifically to park. However, over time and with more use of the parking lot, these lines can fade away. Consistent maintenance requires that they are regularly “re-striped” so they are easy to read for clients, customers, and others. Fading is mainly caused by use, with the rate of fading determined by the level of traffic and “wear & tear” on the lines. Parking lots with high traffic fade faster. Other factors that affect the rate of fading are environmental factors such as exposure to the sun, weather elements, snow melt chemicals, and the quality of line striping paint. Why is maintaining line stripes in parking lots so important? 1. Direction arrows and parking lines help direct traffic in an orderly manner so that people know where to drive and park. 2. Well maintained line stripes look good and leave a positive first impression for the people who use the parking lot. Ensuring the lines are always visible and in good condition is an effective way for property owners and managers to show just how well the property is maintained. An additional benefit of proper line stripping is aesthetic: clearly colored lines that make it easy for a driver to find a parking spot and properly park his/her car boosts the property’s curb appeal, and in the process, the overall impression of the businesses served by the parking lot. What happens when the striping lines fade away? Since line striping lines improve the aesthetic value of the parking lot, the first casualty of faded parking and direction lines is the negative perception created for the public. When driving lanes or parking space markings are hard to see, parking lot users can get frustrated even before they step out of their cars. This frustration can be transferred to the businesses served by the parking lot. A diligent property manager or property owner cannot afford to have customers and tenants parking in erratically, this is just not good for business. A business parking lot without clear line striping will not be properly organized and space that could be put to good use will be wasted. Just like a road without markings, a parking lot without well-defined lines increases the chances of an accident, higher incidences of customer dissatisfaction and possibly business liabilities. People with disabilities, in particular, could have a difficult time making use of the lot if handicapped spaces are not clearly defined. Along with ADA requirements, fire departments have guidelines which encourage the colors on parking lot stripping lines be vibrant and clearly visible. How to remedy the fading of parking lot stripping lines? There is little that property managers can do to reduce the fading of stripping lines in a parking lot. 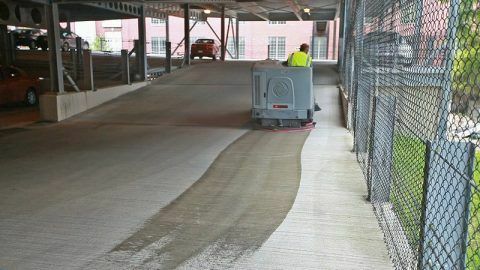 The best they can do is to ensure that the lot is always properly cleaned and well maintained to get rid of dirt, debris, tire marks, and other elements that may obstruct the visibility of the lines. Experts recommend that parking lot line striping lines on a busy parking lot be re-striped at least once every 12 to 24 months and on less busy lots up to 48 months. This is necessary and should be considered a recurrent property maintenance expense. As you can see, the line stripes in a business property parking lot play a huge role in creating a good first impression about the property and the businesses it serves. Regular re-striping fading lines will restore the aesthetics improve the confidence customers and tenants enjoy with property managers and the businesses that the lot serves. Need your parking lot “re-striped”? Call C & L Services at 732-886-1940 to discuss the scope and logistics for your parking lot line striping. Psychology experts say that many people, if not all, will judge a new environment within the first seven seconds of interaction and their opinion will most likely never change. Shoppers believe they deserve nothing but the best and form an impression about a business or property they visit the moment they enter the parking lot. Since shopping centers are still the main source of goods and personal services even in this age of online shopping and home delivery, businesses must do all they can to create a positive first impression for shoppers (and maintain this impression consistently!). Thorough shopping center parking lot sweeping is the most effective way to create a positive lasting first impression on shoppers and the public. People like to meet up and do their shopping in a clean and safe environment, even if their personal environment is not as neat. Considering the ever-increasing competition for ground space between foot traffic and vehicles, most property owners and managers are tempted to neglect the appearance of their parking lots. They do this with the mistaken belief that it does people don’t pay attention to the parking lot. This is not true…people judge everything within their environment and the parking lot is the first thing they see. Proper cleaning means thorough and regular parking lot sweeping. Creating a reassuring environment does not need to including laying the most expensive tiles or setting up catchy artwork; regular cleaning of the parking lot will reassure visitors (and tenants) that the services offered inside the shopping center are just as excellent. There is something else. Many people visit shopping centers to get away from their everyday routines to get personal service or meet friends. Although this means more maintenance for parking lots and frequent scheduled portering and pressure washing, it can be worth it if means more visitors feel safe, relaxed and comfortable in their environment. Take a look at all the trash that can collect in a shopping center parking lot. Here is an article we posted about the variety of trash, debris and litter we lick up, “Street sweeping – One Man’s Trash is Another Man’s Treasure”. It is not uncommon for businesses and property owners to invest a lot in remodeling their buildings, helping their buildings to stand out. A visitor can always tell an expensive property where everything inside is very likely to be more expensive, from a valued property that is well taken care of both inside and out. 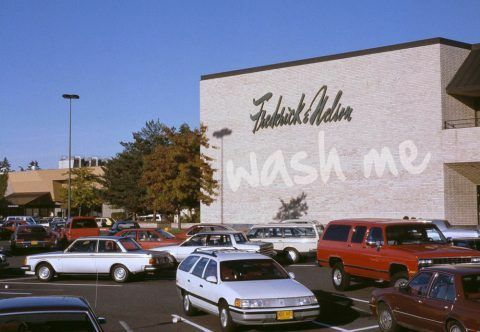 If you are in charge of ensuring the cleanliness of a shopping center parking lot, it sends a conflicting message if there is a poorly maintained parking that welcome customers to a property. The best courtesy you can pay the tenants of the shopping center is to ensure a regular shopping center parking lot sweeping, cleaning and maintenance. This sends a positive message about the commitment that the owner has in his property. Both stiff competition and technology have made doing business more challenging because convincing picky customers takes more than advertising and applying a coat of paint every year. One of the things that really work to create a positive impression to maintain a clean and well-maintained parking lot. Are you looking to make a good (or better) first impression with your parking lot? Give us a call at 732-886-1940. We’ll be glad to discuss how you can improve the overall impression of your parking lot through regular parking lot sweeping.